Dr. Fady Hachem completed his MBBS from Saint Joseph University, Lebanon. 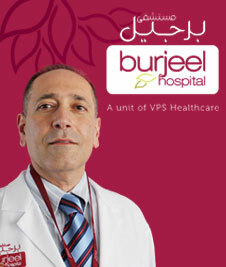 He specialises in managing high-risk pregnancy, antenatal diagnosis, laparoscopic surgery, vulvo and vaginoplasty, urinary stress incontinence TVT and TOT, obstetrical ultrasound 3-4d, infertility and assisted reproductive technology colposcopy, HPV related pathology, vaccination protocol and breast pathology. Dr. Aruna Kumari completed her MD from Osmania University, Hyderabad, India, before receiving her Gynecologic Endoscopy Training in Antwerp, Belgium. She specialises in managing gestational diabetes and polycystic ovarian syndrome, high risk pregnancy, colposcopy and treatment of pre-invasive lesions of cervix, general gynecologic surgery, and gynecologic laparoscopy. Dr. Iram Mehmood completed her MBBS from Nishtar Medical College, Bahauddin Zakariya University, Pakistan, in 1999, before becoming a Fellow of the College of Physicians and Surgeons of Pakistan (FCPS), 2010. She has over 18 years of experience. Dr. Pathukutty Mohammed completed her Bachelor of Science in 1975 and her Bachelor of Medicine and Surgery from the University of Calicut, India, in 1983. She subsequently received her Postgraduate Diploma in Obstetrics and Gynecology in 1989 and Postgraduate Degree in the same specialty in 1990 from Mangalore University, India. 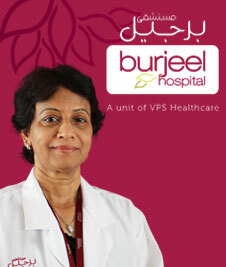 She has over 29 years of experience in the field of Obstetrics & Gynaecology. 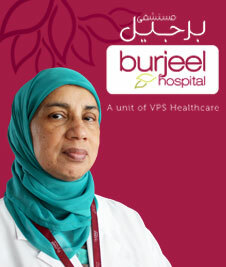 Dr. Sausan Ridha completed her MBChB from Al Nahrain College of Medicine, Iraq, in 1994 and is a member of the Arab Board. With over 23 years of experience, she specialises in Fetal Medicine and managing Infertility problems. Dr. Aesha Bushra completed her Bachelor of Surgery and Medicine from Al-Mergib University, Libya, in 2008, before completing internship and residency training in Obstetrics and Gynecology, Medicine, Surgery, and Pediatrics from Khoms Hospital, Libya, in 2009. 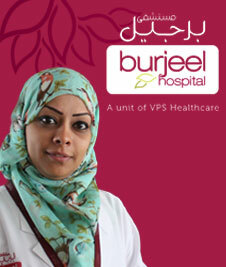 She has over 8 years of experience in the field of Obstetrics & Gynaecology. 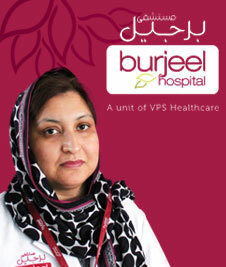 Dr. Lubna Maroof completed her MBBS from the University of Sind, Pakistan, in 1995. 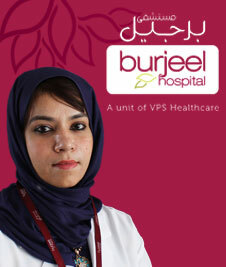 She became a fellow of the College of Physicians and Surgeons in Obstetrics and Gynecology (Pakistan) in 2007. 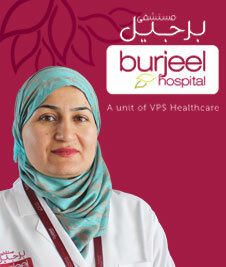 She has over 22 years of experience in the field of Obstetrics and Gynecology. 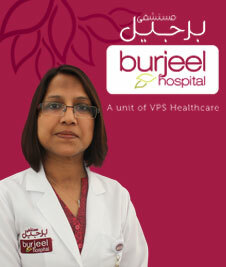 Dr. Sobia Hassan completed her MBBS from Nishtar Medical College, Multan, Pakistan, in 1997. With over 20 years of experience, she specialises in Gynecology, UroGynecology, and Infertility Medicine. Dr. Toshi Agarwal completed her MBBS from the King George Medical College in India, in 1995, before receiving her MSc from the Moti Lal Nehru College, India, in 1998. 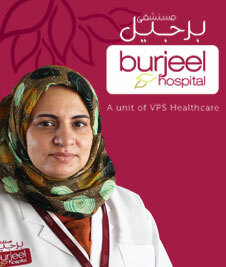 She was subsequently awarded Fellowship from the World Association of Laparoscopic Surgery in 2011. 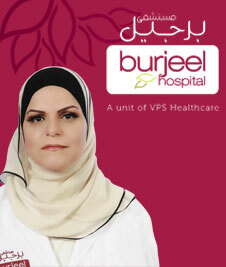 She has over 17 years of experience in the field of Obstetrics & Gynaecology.